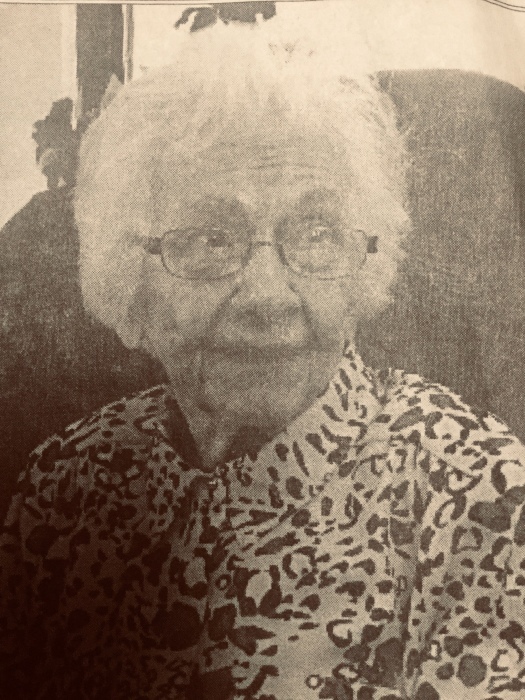 Kathryn L. “Kitty” Kunkel, 101, of Nottingham, Northumberland, PA, formerly of Front St. Sunbury, passed away on November 21, 2018. Kitty was born in Chicago, IL on September 17, 1917, the daughter of the late George A. and Estella M. (Sarvis) Bachman. Kitty, as she was affectionately known, was born as “Baby Bachman” during the Great Depression, an event that shaped the rest of her life. Graduating from Old Main Sunbury High School in 1936, she was cute, a favorite, and smart. Shortly thereafter she met and married Dave Kunkel (who passed December 24, 1976), who was a coal dealer. By WWII she had three children, a new home, a husband in the Navy, and was running the coal business. As time marched on she became a five generation woman with four children, five grandchildren, six great grandchildren and seven great great grandchildren. Always a caretaker, she had a part in raising many of the children and caring for most of her sisters. In her later years she shared many of her experiences, strengths, and hopes with those close to her. She remained strong, curious, interesting, and religious (she was a member of the Zion Lutheran Church). Kitty is survived by her children: Barry E. Kunkel of Gettysburg, Sylvia L. Welsh of West Chester, George D. Kunkel of Hummels Wharf, and Allen “Dex” Kunkel of Port Trevorton. Kitty was preceded in death by her parents and husband. Friends and family may visit the David T. Zweier Funeral Home, Inc. 157 Chestnut St., Sunbury, PA on Tuesday, November 27, 2018 from 10 am until an 11 am funeral service with Rev. Richard Fangmann officiating. Interment will be at The Northumberland Memorial Park, Stonington, PA.